Your Christmas tree is the highlight of your entire Christmas decorations at home. With that, it’s only right that you make as festive and as grand as you want to be. Now, since picking Christmas tree decors can take much of your time, we decided to help you out. 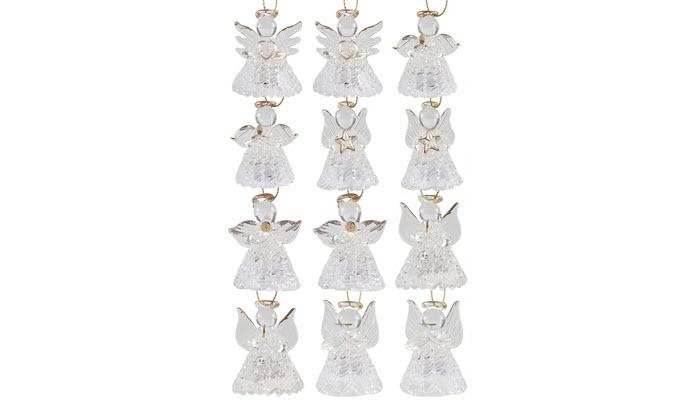 Lot of 12 Dancing Tin Angels Christmas Tree Ornaments took the top spot on our list for obvious reasons. For one, it has a really cool design. 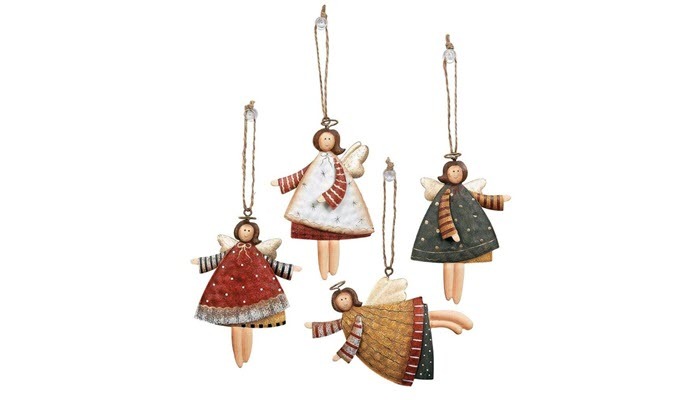 It’s a set of dancing angels that will add warmth to your Christmas tree. Anyone who sees them will surely feel the spirit of Christmas. The ornaments are big enough to act as accents to your tree. Each of them measures about 4 inches so they’re guaranteed to stand out. Apart from being Christmas tree ornaments, these decors also work well as party favors or as accents to your packages. You can even give them as gifts to your friends! OWILER Christmas Bells Decorations for Home are a great choice if you really want something exquisite and classic. The set features the popular elements of the season, like the snowman, reindeer, white bear, and even Santa Claus. Each piece is made of non-woven fabric. This means that you won’t have to worry about your kids hurting themselves if they ever reach your ornaments. However, you have to keep in mind that the pieces are simply hot glued together. They may not be able to withstand rough handling. The good news is that you can actually hot glue the pieces back if one of the parts break off. 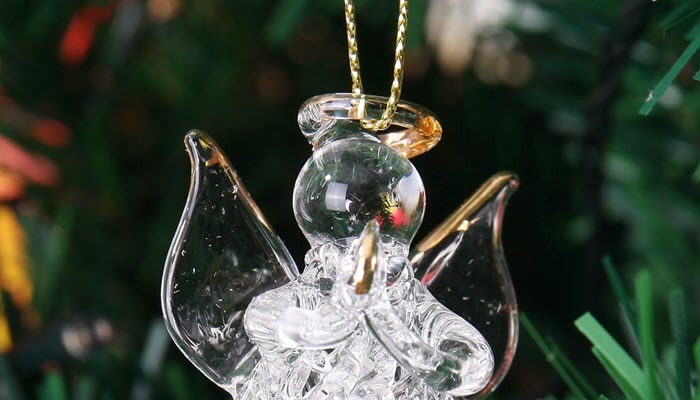 JOYIN Set of 12 Spun Glass Angel Ornaments with LED Lights, on the other hand, are great if you want something cool to hang on your Christmas tree. This set, unlike the previous products we’ve mentioned, lights up! It comes with a switch you can use to turn on the LED lights. The color changes so you’ll definitely have fun with this. The angels also come with ribbons so you can hang them with ease. Now, the angels don’t only differ in color. If you take a close look, you’ll see each of them holding stars, hearts, and musical instruments. 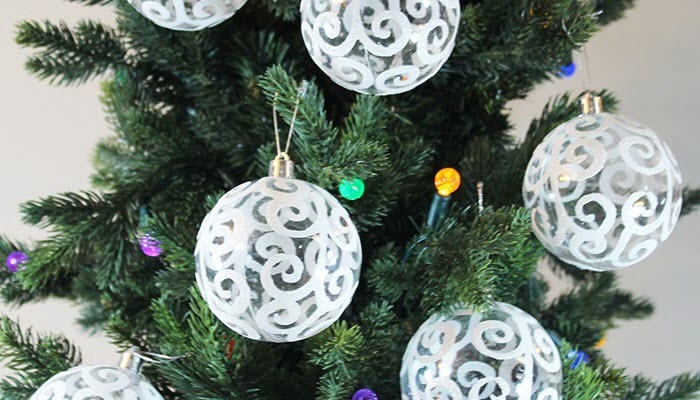 Festive Season 12pk 80mm Transparent Swirl Christmas Tree Ball Ornaments, meanwhile, are shatterproof. 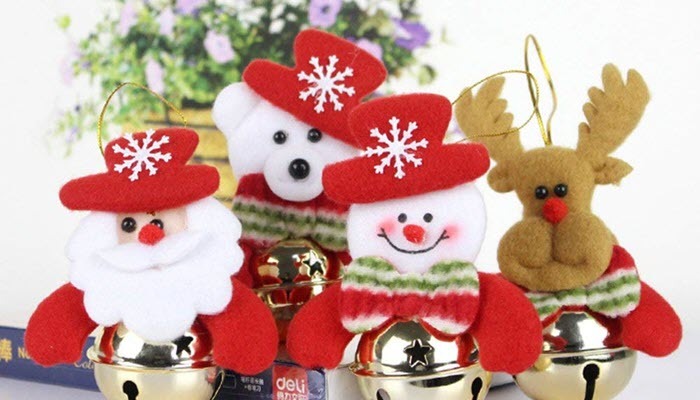 If you are tired of buying Christmas decors year after year, this set would be a great investment for you. It’s cheap but they are practically unbreakable. They have this luster of real glass that can last for quite some time. What makes this ornaments great is that they are hand painted. They have this really elegant look that you won’t be able to resist hanging them up right away. Each ball has a pre-looped string so you can set them up quickly. And once the occasion is over, you can simply keep the balls in their reusable tube lid. Sea Team Plastic Christmas Glitter Snowflake Ornaments Christmas Tree Decorations are made with plastic and glitter. They are shatterproof ornaments that won’t hurt anyone in the family in case they fall. Additionally, they are also pet-friendly. 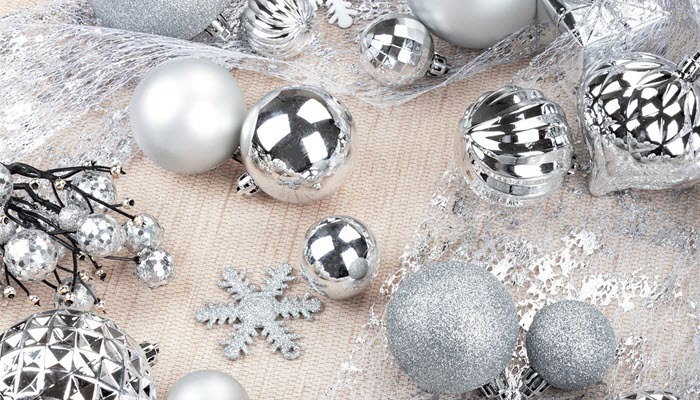 The set includes 36 snowflake ornaments that sparkle with glitters. They have really intricate designs which make them a really popular choice this season. They won’t just look good on your Christmas tree but they are also ideal to use as decorations for your parties at home. You can even use them for your wedding! For something basic yet really reflects the season, go and get KI Store 34ct Christmas Ball Ornaments. This set includes 22 balls of different colors and sizes. 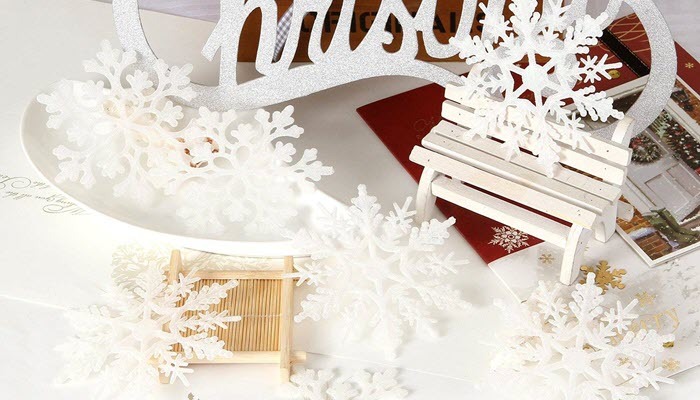 You won’t have a problem making your Christmas tree stand out with these decors. Additionally, the Christmas balls also come in 5 different finishes. You’ll find matte, glittery, shiny, and mirrored balls in this collection. Now, if you find the set too much for your Christmas tree, you can always use the excess balls to decorate your dining table, banister, reception or you can hang them on your ceiling. The balls are shatterproof so there’s no need to worry about them breaking if ever they fall. 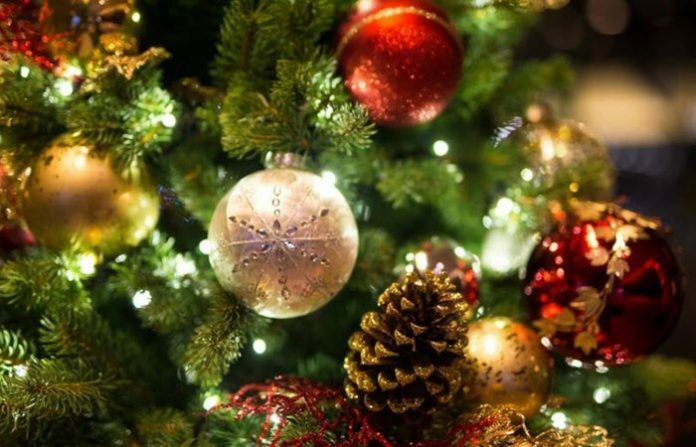 You don’t have to think too much when it comes to picking the best Christmas tree decors you should buy this year. As long as you know what your theme for the year will be, you’ll be able to select one easily. Although you want your Christmas tree to really stand out, you have to consider your budget. You don’t really have to put all your money in your decors. Just pick the most essential ones that match your overall theme. You wouldn’t want to buy decors Christmas after Christmas. 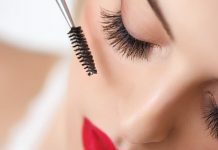 This will only eat up a huge chunk of your budget for the season. With that, try to buy decors that are durable. Plastic ones are good since they don’t break easily. Decors made of fabric are also great since you can always wash them before use. The last thing you want to happen is to spend a long time hanging your decorations. With that, we highly suggest picking decors with pre-looped strings. You can practically hang those decors right after taking them out of the box. There’s really no strict criteria in picking the best Christmas tree decors. Just stick with your theme and budget and you’ll be able to find ones that are worth your time and money. 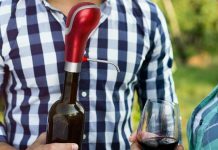 In case you’re still looking for the right gifts to give your family this Christmas, we have a really great list you might want to check out.